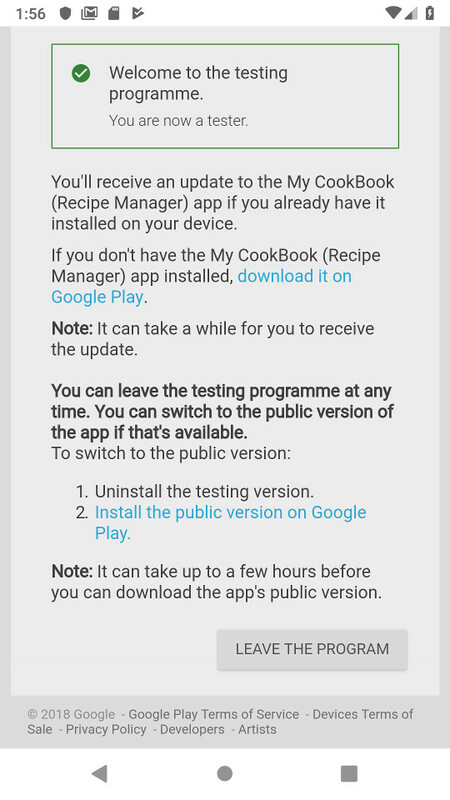 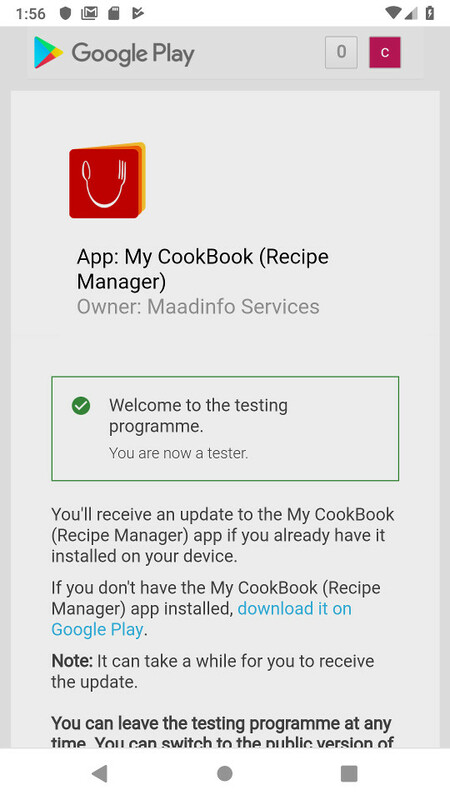 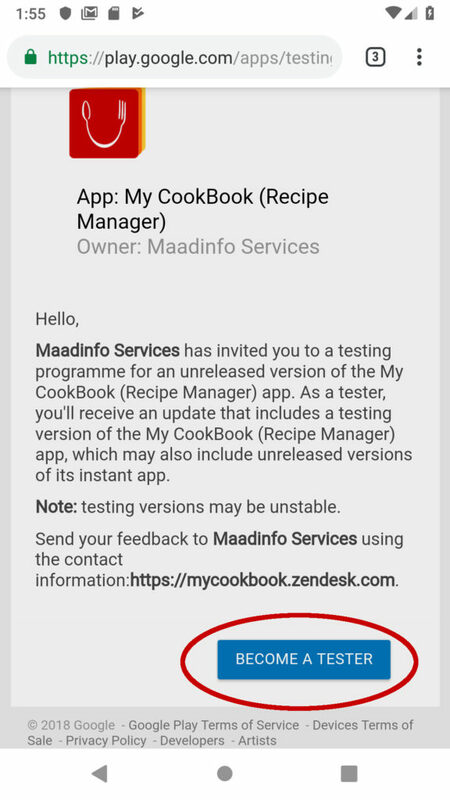 Android users can subscribe directly to join the beta program by using this link : https://play.google.com/apps/testing/fr.cookbook. 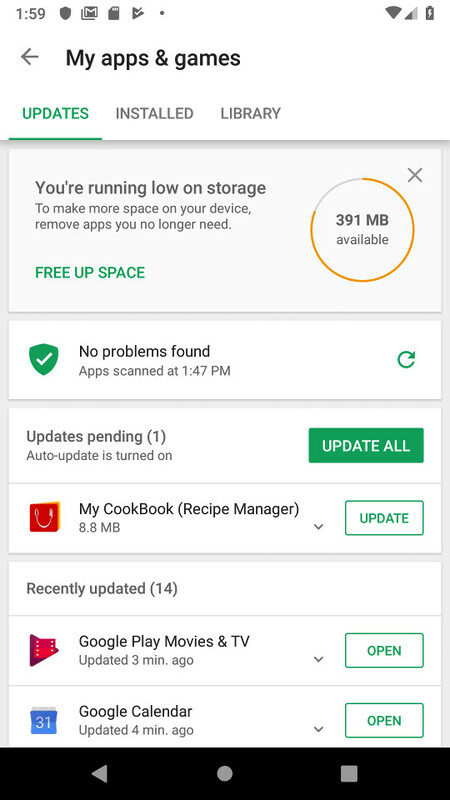 It can take a while for you to receive the update. 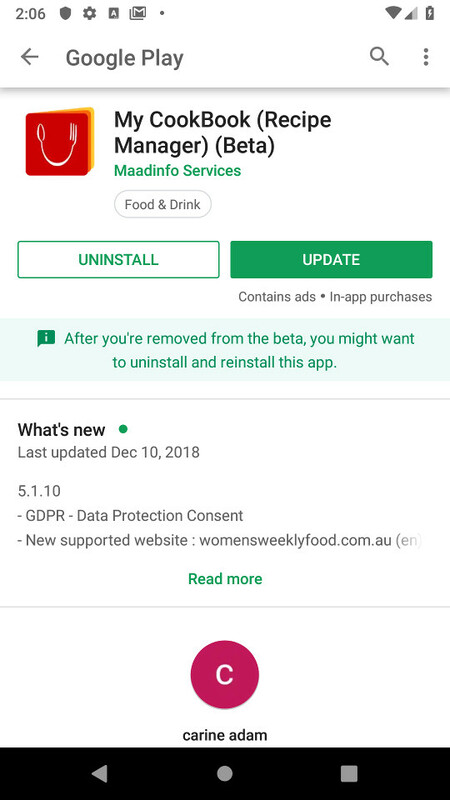 If you don’t see the update button, just wait.